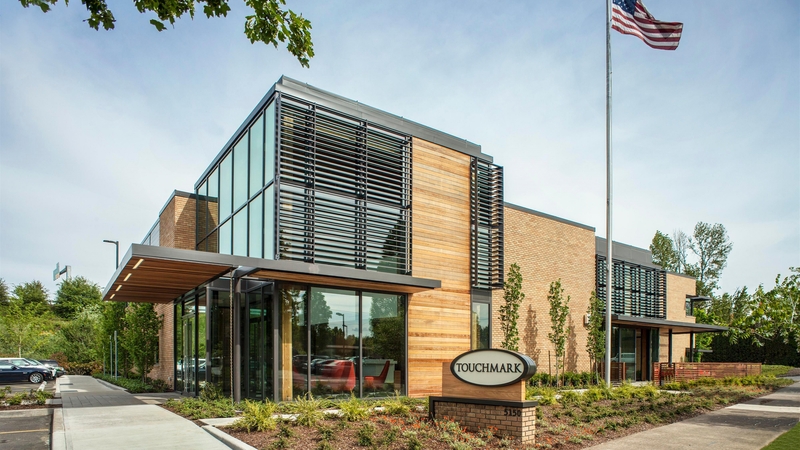 Touchmark builds and operates senior living communities that enrich the lives of those 55-and-older. 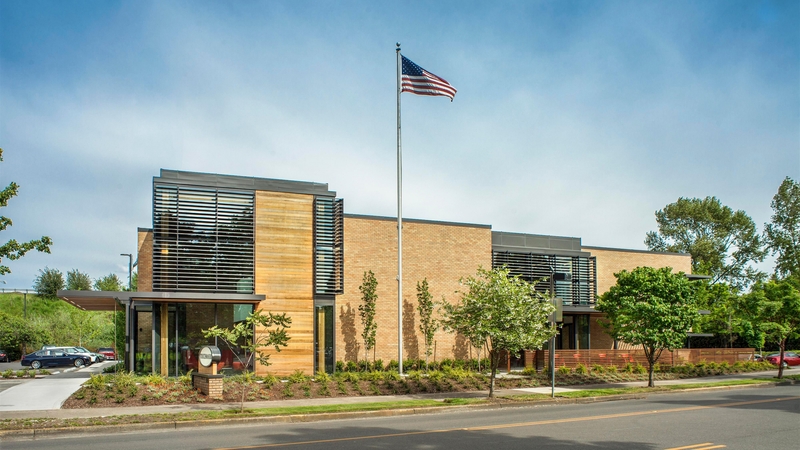 Their corporate offices were constructed more than three decades ago in the Portland suburb of Beaverton, Oregon. 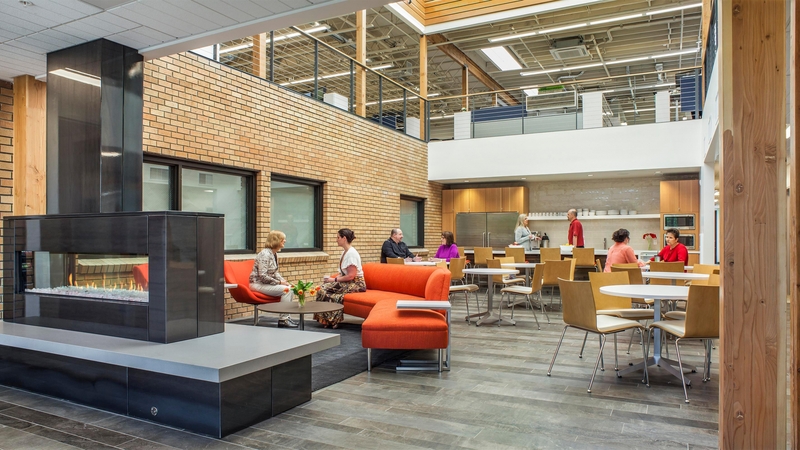 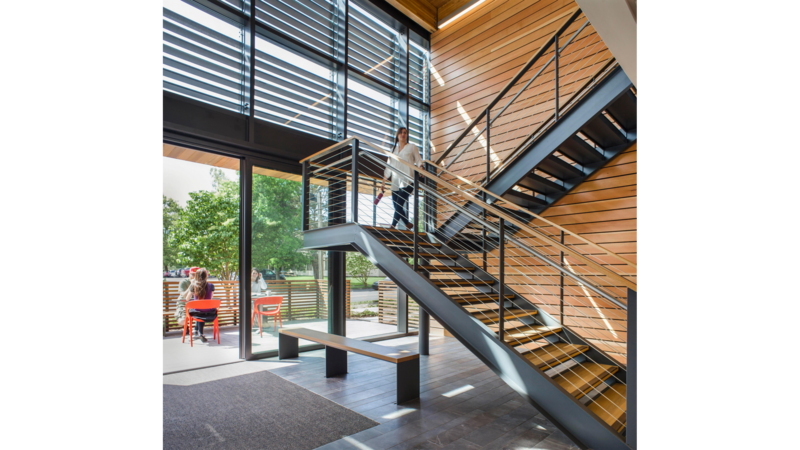 Knowing that the most sustainable building is the one that already exists, the team opted to breathe new life into Touchmark’s aging facility rather than demolishing and starting new. 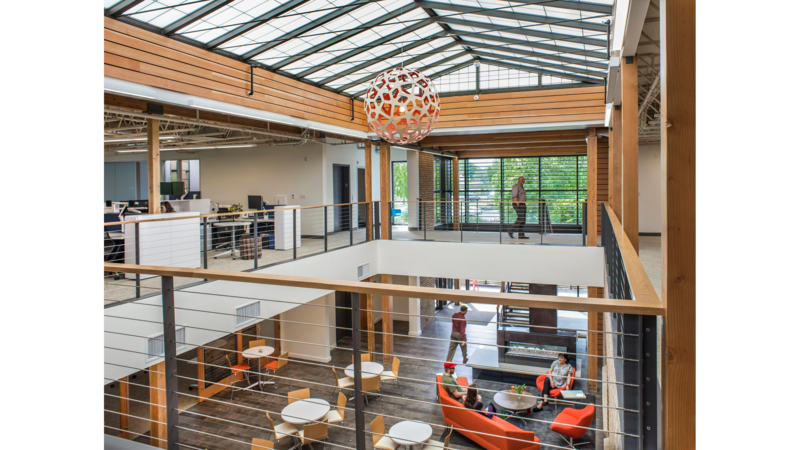 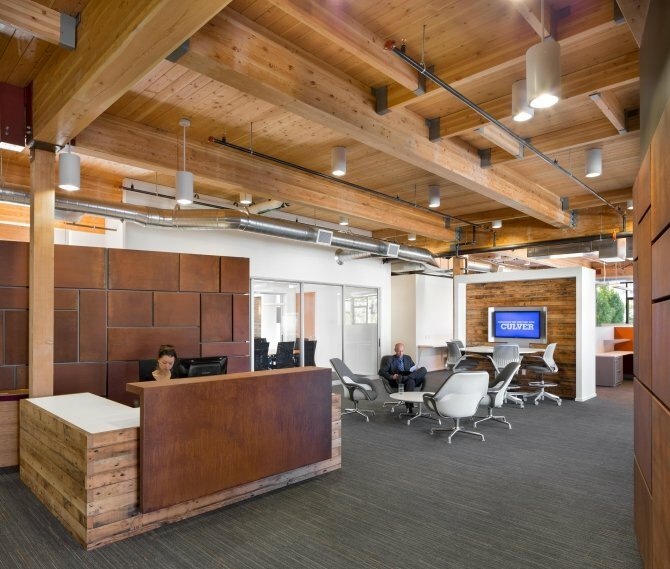 By recognizing Touchmark’s existing building stock as a valuable asset, GBD was able to demonstrate an environmentally-conscious and cost effective path to creating a fresh, modern workplace. 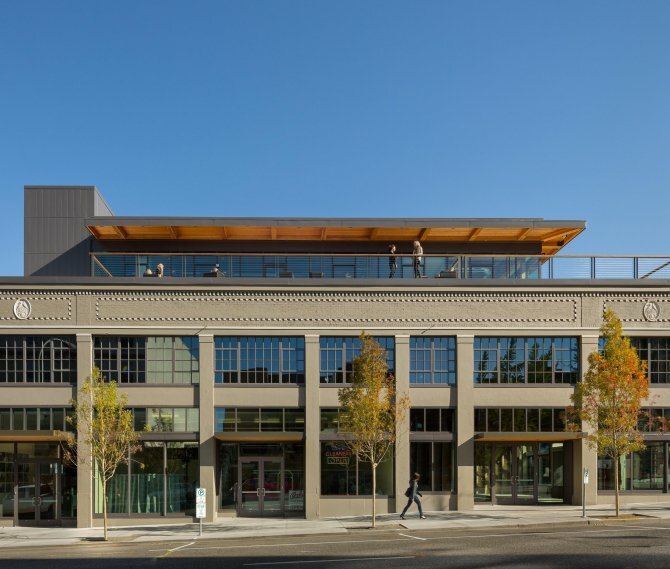 Though well maintained, the original 1970’s building had received very few aesthetic upgrades over the years and many of the mechanical, electrical and plumbing systems had reached the end of their useful life. 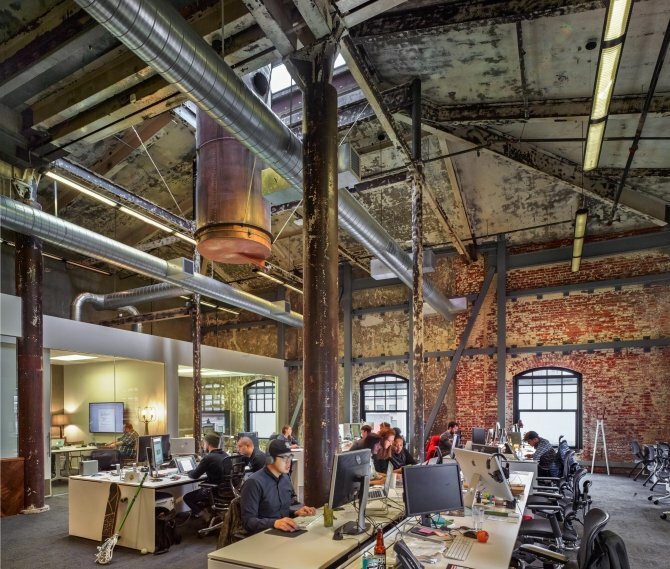 The office interior reflected a work environment typical of a previous generation; tall dividers made personal interaction difficult and a reliance on private offices created a feeling of isolation. 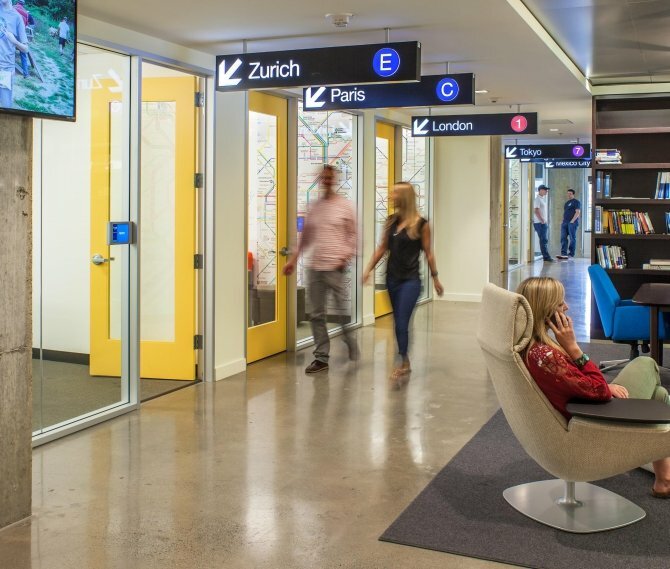 Working with Touchmark, GBD planned, programmed and designed a 21st-century environment that promotes efficiency and collaboration within a comfortable, flexible office space. 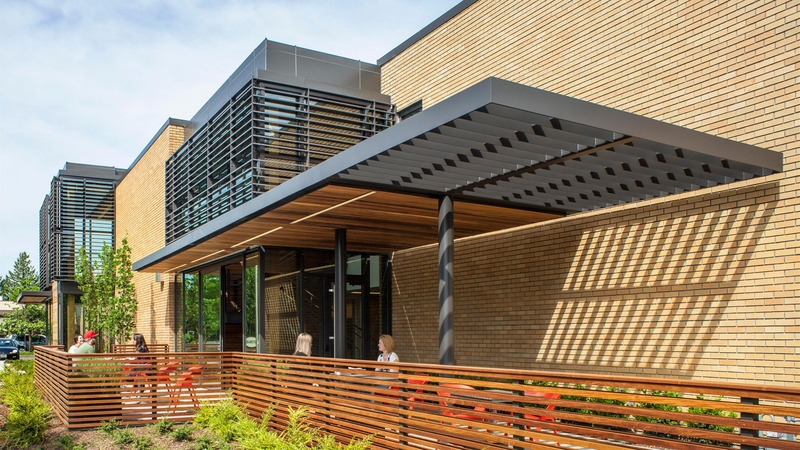 The renovated 22,000 square foot space enhances links to the outdoors with a welcoming new main entrance, patio, fresh landscaping and abundant natural light. 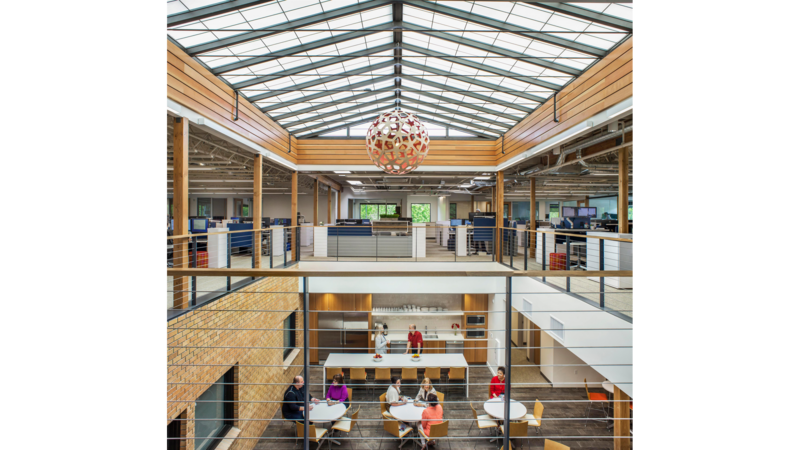 The renovation respects the existing building’s legacy while creating a modern atmosphere that reflects Touchmark vision and brand.